Beautiful people, good prices, fantastic atmosphere and if you are a football fan this is your place. Locals in Bucharest have reviewd Oktoberfest Pub - Pub in Bucharest. 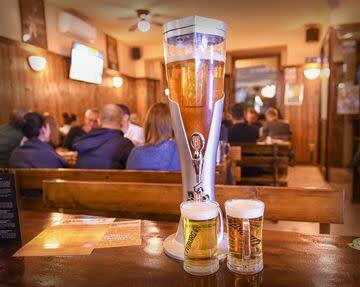 You can get here description, reviews, address, map, phone, website of Oktoberfest Pub in Bucharest. Visit Bucharest Tips for more Pub in Bucharest!